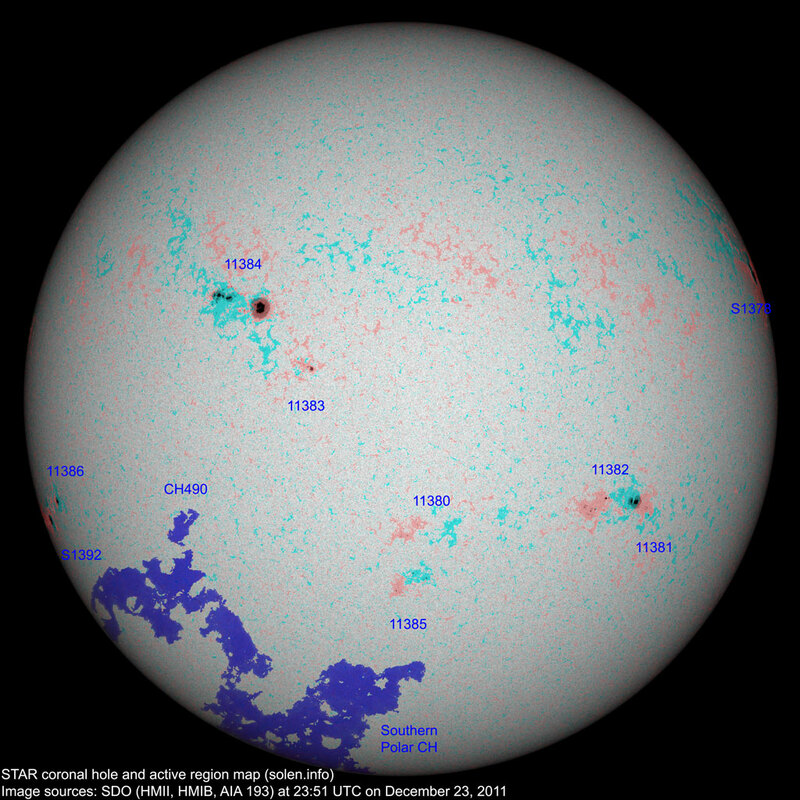 Last major update issued on December 24, 2011 at 04:50 UTC. 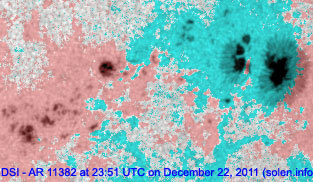 The geomagnetic field was very quiet on December 23. 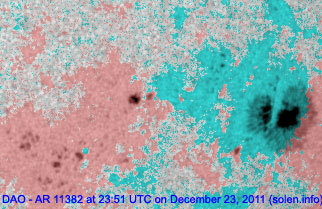 Solar wind speed ranged between 348 and 439 km/s. 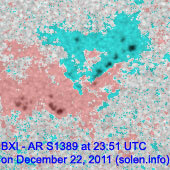 Solar flux measured at 20h UTC on 2.8 GHz was 138.2 (increasing 5.4 over the last solar rotation). 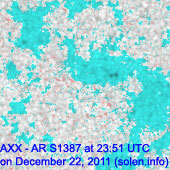 The planetary A index was 1 (STAR Ap - based on the mean of three hour interval ap indices: 1.0). 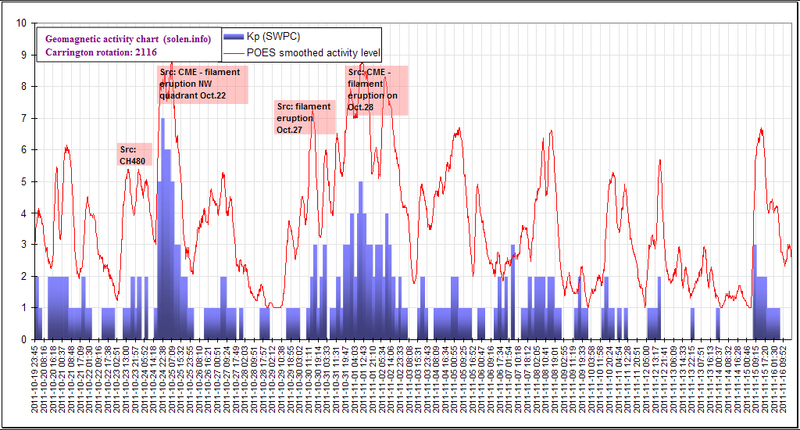 Three hour interval K indices: 11000000 (planetary), 11010211 (Boulder). 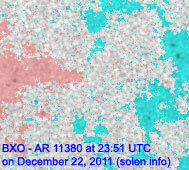 Region 11380 [S21W04] was quiet and stable. 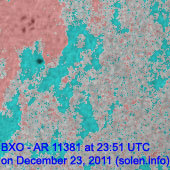 Region 11381 [S18W43] decayed further and could soon become spotless. 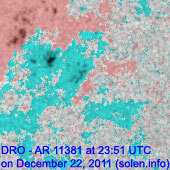 Region 11382 [S17W37] decayed slowly and was quiet. 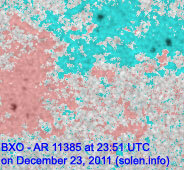 Region 11383 [N04E15] was quiet and stable. 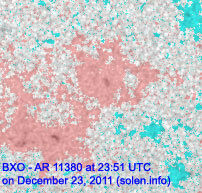 New region 11385 [S30W02] emerged in the southeast quadrant on December 21 and was noticed vy SWPC 2 days later. 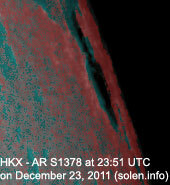 The region decayed slowly on Dec.23. 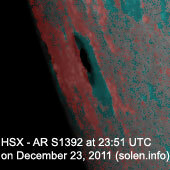 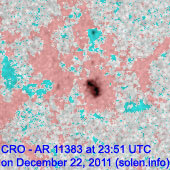 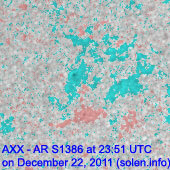 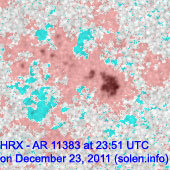 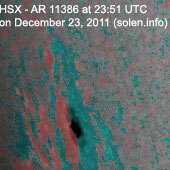 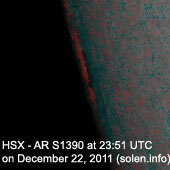 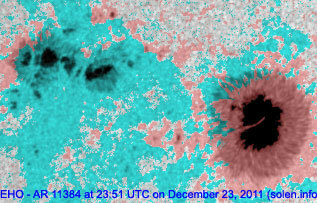 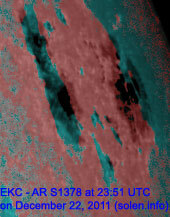 New region 11386 [S16E72] rotated into view at the southeast limb on December 22 and got an SWPC number the next day. 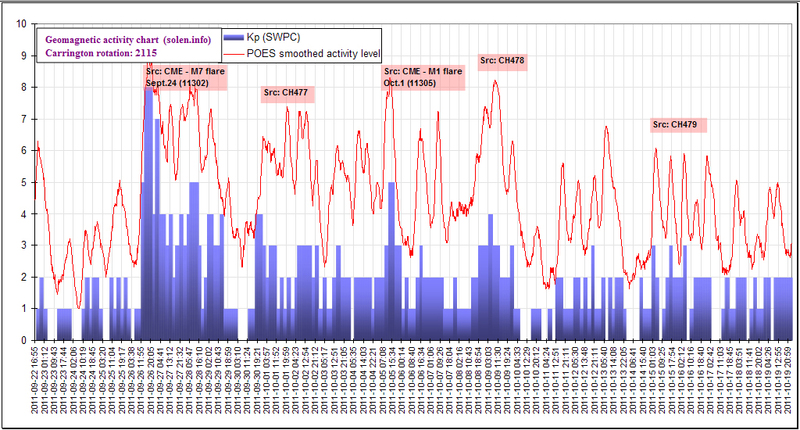 December 21-23: No obviously Earth directed CMEs observed. 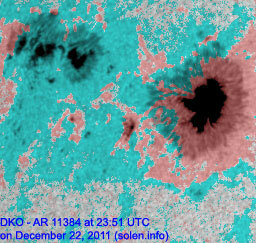 An extension (CH490) of the southern polar coronal hole could rotate into an Earth facing position on December 26-27. 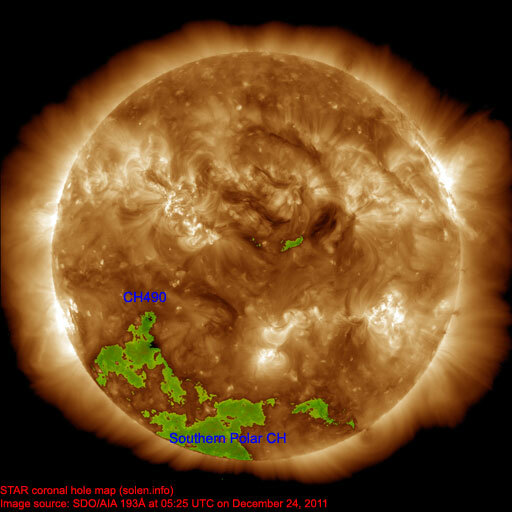 The geomagnetic field is expected to be quiet on December 24-26.